From time to time I hear from one of fellow audiophiles that they envy me because I have a chance to listen to so many different devices. But to be honest as every audiophile also I have my own preferences and that makes listening to some loudspeakers, amplifiers or players much more fun than to others. To be clear - it doesn't make the latter bad or not even worse devices! To really enjoy listening session I need particular system to sound not only very good but also the way I like it. Surely I can recognize the quality of reviewed items even if they don't sound exactly the way I would like them to – but I just don't wish I had them. It is also true that sometimes reviewer's job brings fantastic benefits when I receive devices way beyond what I could afford, offering sound that I simply love and I really, really wish I had them. It doesn't happen that often – I would say I reviewed 6 maybe 8 such items, that's it. Among those quite few there were already two devices by … AirTight which already made me a great fan of this brand. It all started with ATM-300 – the best 300B based SET I heard so far. There is also a PC-3 cartridge that created absolutely synergistic system with my deck and arm. Sooner or later I'll have one! Unless of course I find something even better which is quite unlikely because cartridge reviews are a real rarity. This time I received another SET from AirTight – based on famous 211 power tube. There are some Japanese companies that earned their status of „legendary” manufacturers with outstanding performance of their products. Nowadays this adjective lost most of its original meaning as it is used in regard to almost anything. But if you have a chance to spend some time with one of the Kondo, Shindo, Wavac or AirTight products you will realize that these are really special and these brands deserve to be called „legendary”. It looks like Kondo devices are not reviewed at all – I guess manufacturer and distributors don't think it is necessary (and they're probably right). Shindo is not distributed in our country at all – what a shame! 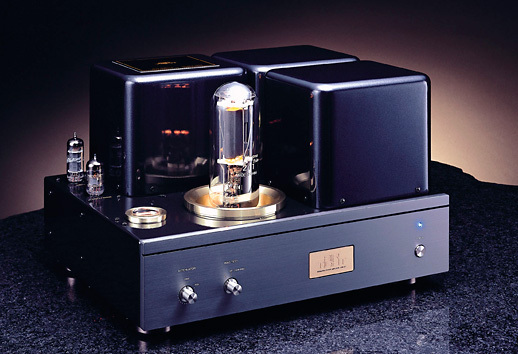 Wavac's status on our market is somehow unclear – I was lucky and I had a chance to review a 300B amplifier opening their range (a very good amp I must say) but that was it. And last but not least – AirTight – the only one of this „Big Four” that not only is distributed in Poland but the range of products available for customers and reviewers is slowly but surely growing. That is how I became a great fan of this brand and I know I'm not the only one. 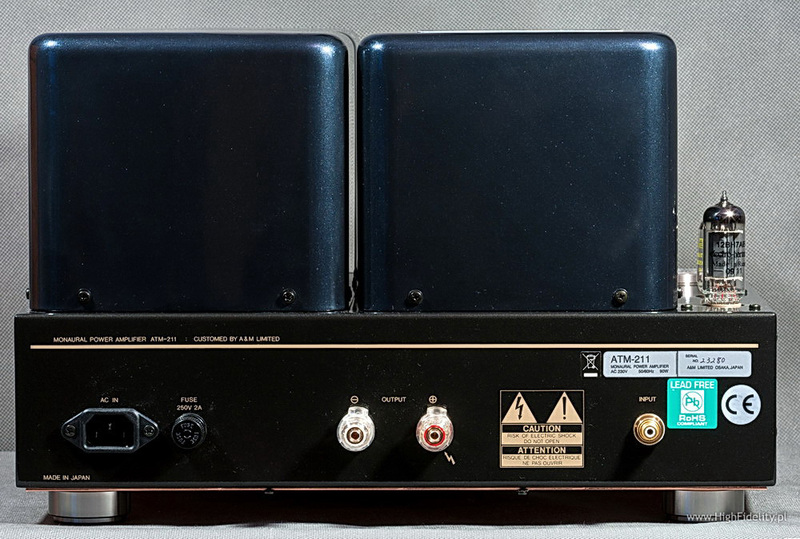 The ATM-211's external design is somehow characteristic for AirTight products – dark gray casing (dark gray might not sound very attractive but believe me – it is damn nice), black (very dark blue in some light) huge transformers cups, individual pots for each channel (ATM-300 has these too, even though it is a single amp not monos), small gold-ish plate with logo – all that creates an image of something very special. When you take a first look you can't take your eyes from huge 211 tube that is placed in nicely finished socket. 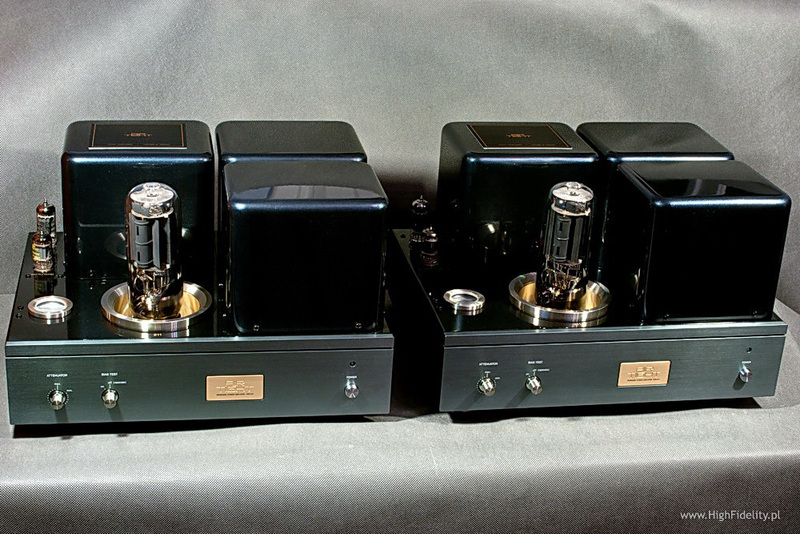 The top panel of each amp is mostly occupied by three huge transformer cups, so in fact there is very few place left there – just for one huge 211 triode and a small, round bias meter (nicely finished in the same fashion as 211's socket). A front-panel switch, placed next to volume control pot, turns on the meter, which provides monitoring of power tube's bias voltage. The bias can be adjusted with a trim pot accessible through a hole in the top of the chassis. A 12AX7 (ECC83) and a 12BH7A comprise the rest of the tube complement. These are placed next to one of the transformers in the back left corner of the amp. Inputs are single-ended RCAs and the speaker terminals are made by WBT (these are single posts – the output transformer comes set for a nominal 8 ohm load, but can be factory-configured for 4 or 16 ohms, or reconfigured later by a Distributor on Customers request). Even though some purist audiophiles might consider volume controls to be an additional, and though harmful element in signal's path but I don't think that guys in AirTight would have added this functionality had it really been harmful to sound quality. So since these are there all you need to create a full system is some source of signal and loudspeakers. 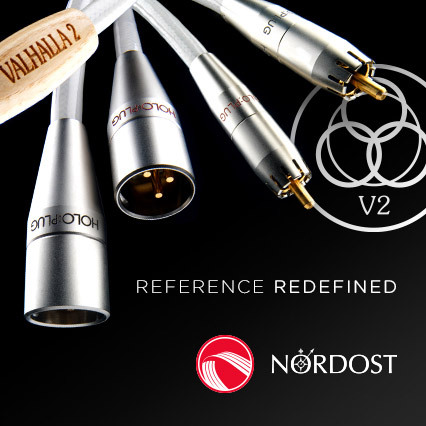 Surely many of us (me included) have more then one source, but if you do and you want to use them all you need to either buy some fabulous preamplifier or get used to unplugging and plugging back interconnects from different sources. Having preamp in the system you won't have to use two pots for each channel separately and additional bonus of getting a preamp might be also a remote control. If you are a „sit down and stay there during whole listening session” kind of guy – you have to afford to buy top quality linestage (which won't be easy I guess – I mean finding something that at least won't spoil the sound of AT-211). All right, let's get finally to the sound, shall we? During this test I used mostly analogue sources - Super Seven La Roccia with SME arm and Accuphase cartridge (see a separate review of this amazing piece of tech), and my own Gyro SE with amazing TransFi Tomahawk arm and Koetsu Black. The last element of this system were JAF Bassoon loudspeakers (used also for TRI review) – if you check the price you might think it was a cliché but you should remember that it is not the price that really decides the performance. Use of one of those amps was very dependent on the repertoire. 300B was enough when we listened to some vocal recordings or to some jazz trios but to make a good use of huge woofer when it came to more dense recordings we had to use ATM-211. No doubt that more versatile partners for Ardento OBs were amps with 211 triode on board. For me this particular listening session was another proof of 300B superiority in some aspects of sound over any other triode, although it also reminded me again that different tubes might be superior in the other aspects and sometimes these other ones could be crucial for particular system. This particular match-up showed me that 211 could not offer as dense, crème, palpable midrange as 300B could. It wasn't also able to reproduce the ambiance, the acoustic environment of each recording as well as my favorite did but here the difference was not so distinct – maybe without head-to-head comparison I would not have been able to point it out. No doubts 211s had their advantages too - much better control of a bass range, better extension, it was more hefty, but also there was more precision in the whole sound, and the whole range was more flat. I think that ATM-211 would have presented same advantages even if we had used more efficient speakers – 300B isn't really capable of such a tight, full and so well differentiated bass and in general it focuses more on liquidity and richness rather then precision and speed. If I was to chose one single thing that amazed me most about 211s sound it would be something I could call immediacy of each attack – like each drums stick strike or a pluck of a bass string – it immediately delivers huge portion of energy, one can hear it and feel it when it happens and not shortly after that. Quality of treble is comparable (very good in both cases), although this ability of more accurate presentation of room's acoustics might be a small advantage of 300B triode. That's quite a lot of word about quite a short listening session but I have to admit that both head-to-head competition between ATM-300 and ATM-211, and Ardento loudspeakers were really impressive. It not only sounded damn good but it sounded the way I liked it (which is not necessarily the same thing). It wasn't perfect, but the new version, a three-way OB might be. We'll see about that when they are ready. Few hours and 60+ kg later ATM-211 landed in my room hooked to J-A-F Bassoon loudspeakers – also OB type although a different one. Their sensitivity reaches 90 dB, which is still too much for 300B SET amp. 211S had no problem at all driving those speakers and proved one more time how good speakers these were. Let me start with something that never was too important to me, at least not until I reviewed Hansen Prince V2 and now Bassoons with ATM-211 – it's bass I mean here. What caught me by surprise was how incredibly fast and powerful bass was. The most accurate description here would be probably “immediacy”, and maybe also “uncancellable/consistent”. I realize you might now have no idea what I mean so let me try to explain – it is not uncommon that when reproducing some music some elements are left unfinished. An example – when a stick hits a drum it causes in fact some sequence of events – to simplify it let's just use three stages: the hit itself, then membrane yields under this strike and it gets back to its original state (action and reaction). So what I meant when saying that often such a process was left unfinished was that I could hear only the first stage – the strike and that was it, nothing more. AirTight delivers it all – it is very consequent about it, it's uncancellable, inevitable – if there is stage one there must be also stage two and three! Quite a few amps I heard so far could do the same. Since I listened Bassoon with Modwright KWA100 SE before I knew that the above described effect comes partly from speakers themselves due to their design that significantly reduces interaction with room's acoustics (it mostly concerns bass range) which allows to perceive specially this range in a different way than with other speakers.